Have you ever wondered how the food that you eat is related to your overall health? Research shows that diet has a strong correlation with chronic disease, but why? What role does the human genome play in this relationship? 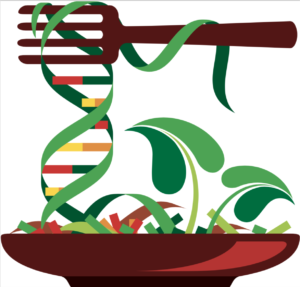 The newly emerging area of nutritional science, Nutrigenomics, seeks to answer these questions and transform our current understanding of individual health, diet, and nutrition by studying the relationship between the genome and environmental factors, particularly food. The field of nutrigenomics is broad and applies to not just humans, but all organisms. Dr. Thomas Brenna of The University of Texas Dell Medical School and the Dept of Nutrition, specializes in research regarding the human genome and omega-3 fatty acids. Often referring to himself and his team as “the fat guys,” Dr. Brenna suggests that although DNA is the blueprint for life, “nutrition is how the blueprint plays out.” Of all environmental factors that come in contact with organisms, Dr. Brenna emphasizes that one of the most influential environmental factors is food. Within nutrigenomics, the related field of nutrigenetics is important to note. Nutrigenetics can be described as the subset of the larger picture that is nutrigenomics and seeks to go into further detail on a specific site of the genome. An analogy to understand the difference between nutrigenomics and Nutrigenetics is that of music and a music note, because music notes (nutrigenetics) make up the song and overall melody of the song (nutrigenomics) is determined with these notes. The future of nutrition and genes is highly promising. Dr. Brenna explains that the future entails a better understanding of the full connection between genes and health. By identifying these connections, nutrigenomics may help provide the explanation between chronic disease development and diet or even a specific food. Through this gained understand, we may be able prevent or treat these diseases much more effectively. “[Currently,] we can’t do every part of the genome, but technology is headed in that direction,” Dr. Brenna explains. Eventually, nutrigenomics has the potential to provide individualized nutrition recommendations based on the genes that individuals carry. If Nutrigenomics is a subject you are interested in learning about in further detail, consider learning more about The University of Texas at Austin’s Nutritional Department online Master’s of Science in Nutrition. Nutrigenomics is a concentration class in the concentration, Biochemical & Functional Nutrition. What are Theories of Nutrition Behavior and Why is it Important?